Updated: 1:43 p.m. | Posted: 5:46 a.m. 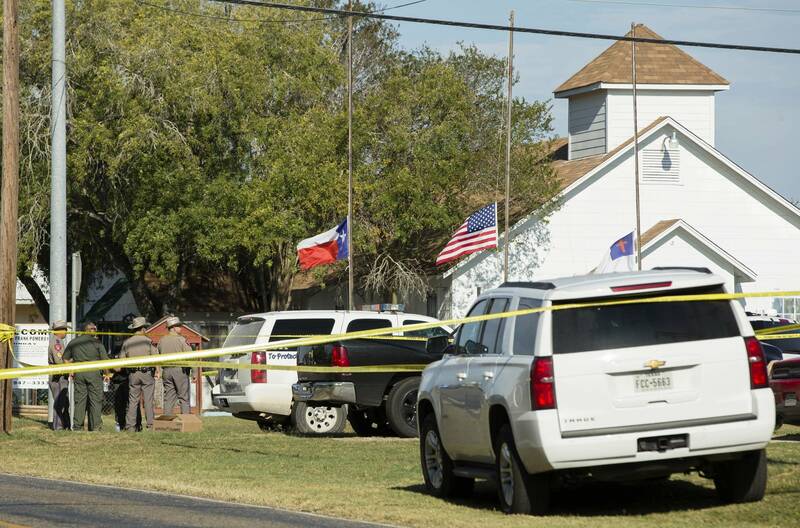 The gunman who opened fire in a small Texas church, killing 26 people during worship services, sent threatening text messages to his mother-in-law before the attack and had been confronted about domestic violence at least twice in the last five years, authorities said Monday. Based on evidence at the scene, investigators believe Devin Patrick Kelley died of a self-inflicted gunshot wound after he was chased by armed bystanders and crashed his car. The 26-year-old shooter also used his cellphone to tell his father that he had been shot and did not think he would survive, authorities said. In 2014, sheriff's deputies went to his home to investigate a domestic violence complaint involving him and his then-girlfriend. People in the house said there was no problem, and no arrests were made. Kelley married the girlfriend two months later. That same year, Kelley was discharged from the Air Force for assaulting his wife and child and had served 12 months' confinement after a 2012 court-martial. 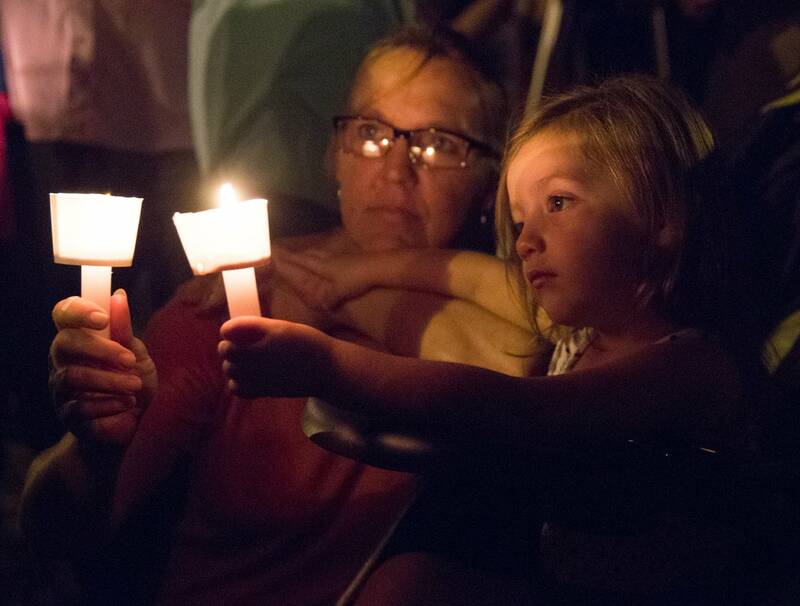 The gunman's family relationships at the First Baptist Church in Sutherland Springs were uncertain. The sheriff said the shooter's former in-laws sometimes attended services at the church but were not there on Sunday. Martin said the text messages were sent to the gunman's mother-in-law, who attended the church. It was unclear if they were referring to the same people. The man who confronted Kelley had help from another local resident, Johnnie Langendorff, who told KSAT-TV that he was driving past the church as the shooting happened. He did not identify the armed resident but said the man exchanged gunfire with the gunman, then asked to get in Langendorff's truck, and the pair followed as the gunman drove away. Three guns were recovered. A Ruger AR-556 rifle was found at the church, and two handguns were recovered from the suspect's vehicle, according to the Bureau of Alcohol, Tobacco, Firearms and Explosives. Sunday's attack came on the eighth anniversary of a shooting at Fort Hood, between Austin and Waco, where 13 people were killed and 31 others wounded by a former Army major. One of the most infamous mass shootings in American history happened when Marine sniper Charles Whitman climbed a clock tower at the University of Texas' Austin campus in 1966 and began firing on people below. He killed 13 and wounded nearly three dozen others after killing his wife and mother before heading to the tower. One victim died a week later, and medical examiners attributed a 17th death to Whitman in 2001.